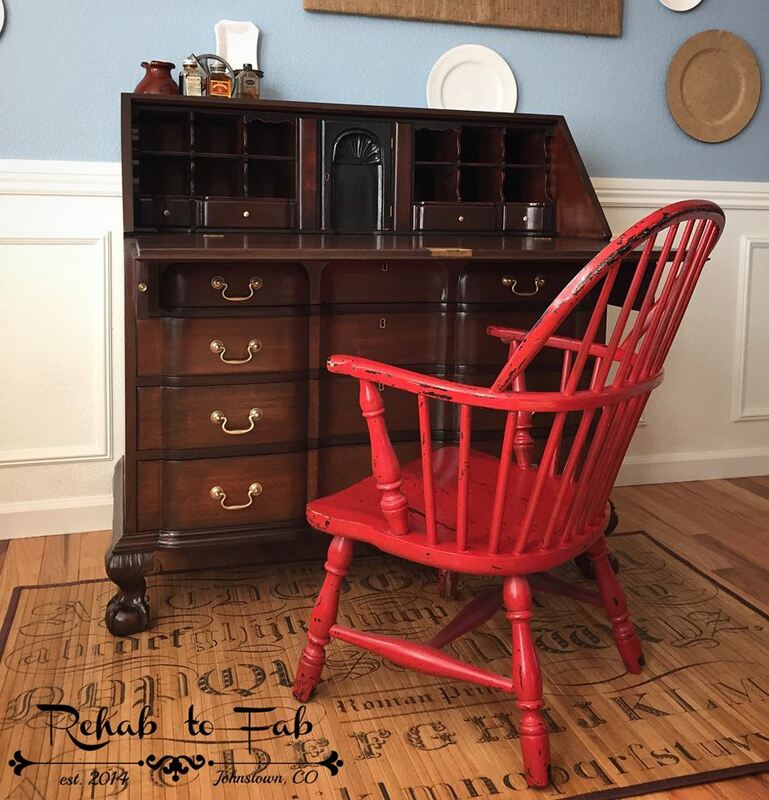 Can't get over this amazingly beautiful antique secretary desk by Rehab to Fab! Stephanie of Rehab to Fab says "I sanded, stripped & cleaned the exiting finish off. Once it was a clean slate I used General Finishes Antique Walnut on the drawer fronts & their Java Gel Stain on the rest of the piece. I could of stained the entire piece in one or the other but I can't help to be different. I then sealed it all with GF’s Arm-R-Seal in Satin. The inside letter compartment is painted in General Finishes Holiday Red Milk Paint & then their Lamp Black Milk Paint with light distressing on the edges to show the pop of red. I then used Arm-R-Seal in Gloss to give it that extra ‘pop’."